An important step in medicine occurred as the result of one James Cornish getting stabbed in the chest on July 9, 1893. His physician, an African-American doctor from Chicago named Daniel Hale Williams, performed the second successful operation on the pericardium (the lining around his heart). Dr. Williams was born in Hollidaysburg, Pennsylvania on January 18, 1856, the son of a black barber and a Scots-Irish woman. After working as a barber himself, he became interested in medicine and apprenticed to Dr. Henry Palmer for two years. He then attended Northwestern University’s medical school and became one of Chicago’s first African-American physicians upon his graduation in 1883. There were only three other black doctors in Chicago when Williams began practicing. He quickly built an excellent reputation as a highly skilled surgeon. 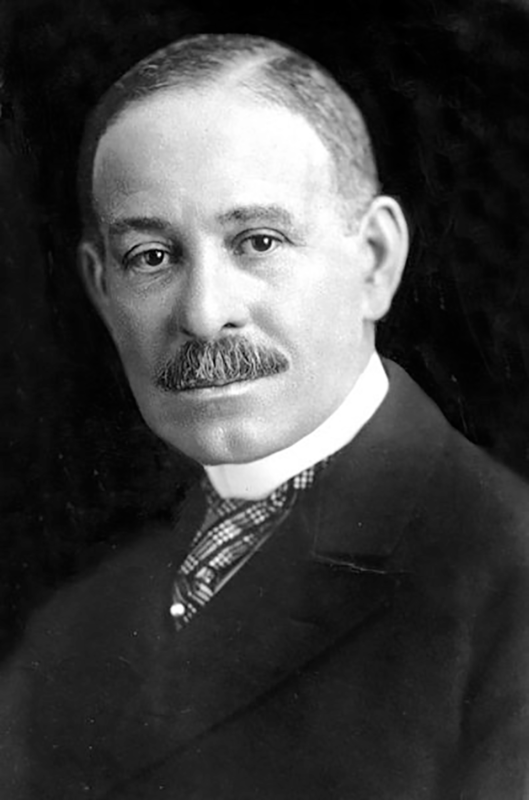 By 1889, he was appointed to the Illinois Board of Health and dealt with hospital rules and medical standards. Dr. Williams was acutely aware of the limited opportunities available to African-Americans in the medical profession. Additionally, although there were 15,000 black people living in Chicago, very few of the city’s medical establishments were willing to provide them care. When a young black woman named Emma Reynolds told him she had been refused admission to every nursing school she’d applied to, it spurred him into action. With the assistance of prominent Chicago residents, Dr. Williams opened Provident Hospital, the first African-American owned hospital in the country. Both black and white doctors were employed at Provident, with quality, “color-blind” care being Dr. Williams’ mission statement. The nursing students were not forgotten – the Freedman’s Hospital School of Nursing was founded in Washington D.C. in 1894. Emma Reynolds was part of the first graduating class. On July 9, 1893, a young man named James Cornish came to Provident Hospital with stab wounds to the chest, injuries that usually meant certain death in those days. After his condition worsened considerably over night, the decision was made to open him up and see if anything could be done to save Cornish from internal bleeding. What Dr. Williams found was that one of Cornish’s stab wounds had perforated his pericardium (the lining around his heart), and another had pierced a blood vessel. This normally would have been a death sentence at this time, but Williams managed to suture both of these injuries, stopping the bleeding, and then sealed Cornish back up. He had just accomplished the second known successful pericardium surgery in the world. (The first was done by Dr. Henry Dalton on September 6, 1891, when Dalton also sutured a torn pericardium with a needle and catgut thread- as with the work Dr. Williams did, this was tricky business so close to a beating heart.) James Cornish recovered from his injuries and lived about another two decades. In 1902, Dr. Williams successfully sutured a patient’s spleen – another relatively groundbreaking procedure. At the turn of the century, he’d become a visiting professor of surgery at Meharry Medical College in Nashville, Tennessee, one of the two African-American medical schools in the United States. He encouraged black physicians to become community leaders and to found hospitals, firmly believing this would lower the high mortality rate among African-Americans. After Dr. Williams died, he left generous donations to the many causes he supported during his lifetime including Meharry Medical College, the National Association for the Advancement of Colored People, Howard University, and many others that helped provided medical education for black students. The first successful surgery on the heart itself was performed by Dr. Ludwig Rehn of Germany in 1896. His patient had a stab wound to the right ventricle of the heart, which he was able to repair despite the fact that it was beating during the surgery. It was only one year before that in 1895 that anyone bothered to try to perform surgery on the heart itself. This was done in what is now Oslo by Axel Cappelen. His patient had also been stabbed, this time in the coronary artery. Dr. Cappelen was able to fix the problem and his patient recovered somewhat after the surgery, but then about a day later started showing signs of infection and died from this three days after the surgery.